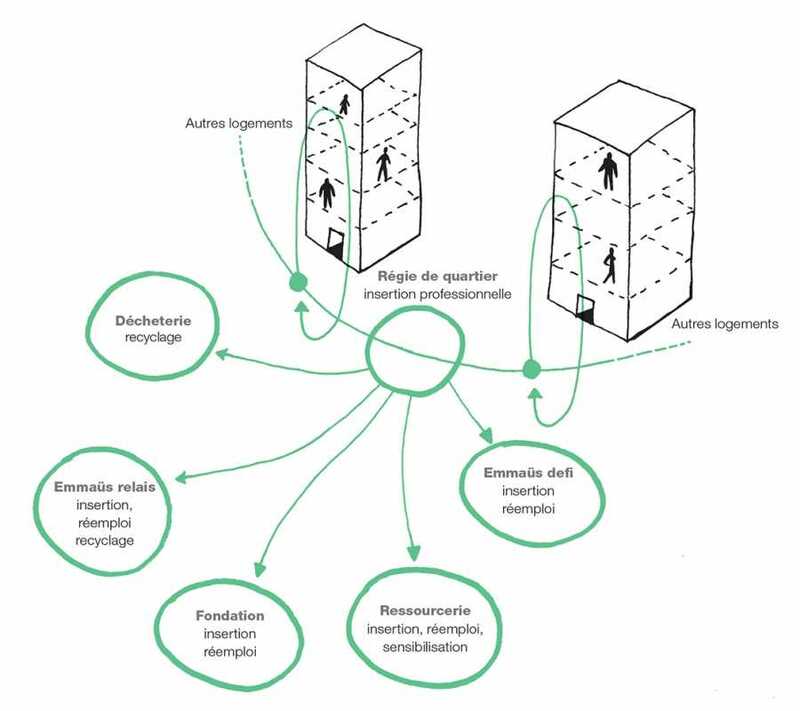 English version...The Grenelle 1 law encourages local governments to reduce 7% per capita production of household and similar waste by 2015, and increase the recycling rate of 45% material. For ease of application, SOA architects and Le Sommer Environment propose to integrate in the local community buildings to organize internally collection while mobilizing local actors and sectors of recycling and reuse. A principle that would go further than just the local bin with recycling bins.